The Alpha Chapter, University of Illinois, Urbana-Champaign, celebrated its annual meeting and ceremony on Saturday, November 4, 2017 at the School of Information Sciences. The event was livestreamed and recorded. 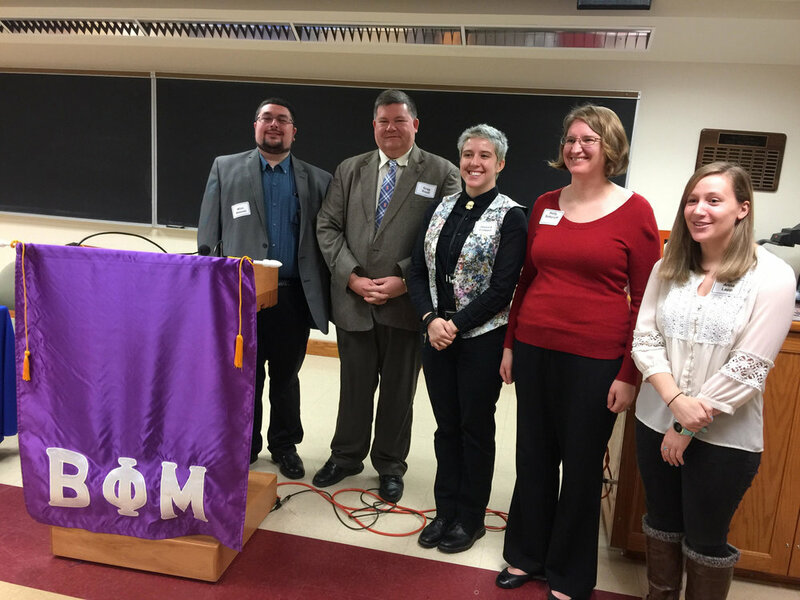 Fourteen graduates were inducted into Beta Phi Mu. Five were able to attend and sign the Great Roll in person: Janus L. Colbert (2017), Gregory J. Knott (2017), Anna M. Lapp (2017), Holly Soboroff (2017), and Winn W. Wasson (2017). Other business included: a report of chapter finances; a report on Beta Phi Mu activities at the national level; announcement of two awards supported by Alpha Chapter: Alison Rollins (MS ’17) as the Anne M. Boyd Award recipient and Kristina Williams (MS ’17) as the Kathryn Luther & William T Henderson Award recipient; and the election of Christine Cahill as incoming Vice President/President-Elect. Following the ceremony and business meeting the members, new initiates, and guest enjoyed a luncheon. The event concluded with a talk by Patricia Hruby Powell, author, storyteller, and dancer, whose presentation was entitled, “A Vision of Hope: How Children’s Diverse Books Could Change the World.” She shared a bibliography of the titles highlighted and posted a copy to her website (http://talesforallages. com/author-visits-keynotes/).